For other uses, see Parsifal (disambiguation). Parsifal (WWV 111) is an opera in three acts by German composer Richard Wagner. It is loosely based on Parzival by Wolfram von Eschenbach, a 13th-century epic poem of the Arthurian knight Parzival (Percival) and his quest for the Holy Grail (12th century). Wagner conceived the work in April 1857, but did not finish it until 25 years later. It was his last completed opera, and in composing it he took advantage of the particular acoustics of his Bayreuth Festspielhaus. Parsifal was first produced at the second Bayreuth Festival in 1882. 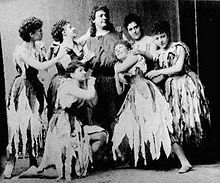 The Bayreuth Festival maintained a monopoly on Parsifal productions until 1903, when the opera was performed at the Metropolitan Opera in New York. Wagner described Parsifal not as an opera, but as Ein Bühnenweihfestspiel ("A Festival Play for the Consecration of the Stage"). At Bayreuth a tradition has arisen that there be no applause after the first act of the opera. Wagner's spelling of Parsifal instead of the Parzival he had used up to 1877 is informed by one of the theories about the name Percival, according to which it is of Arabic origin, Parsi (or Parseh) Fal meaning "pure (or poor) fool". Wagner read von Eschenbach's poem Parzival while taking the waters at Marienbad in 1845. After encountering Arthur Schopenhauer's writings in 1854, Wagner became interested in oriental philosophies, especially Buddhism. Out of this interest came Die Sieger (The Victors, 1856) a sketch Wagner wrote for an opera based on a story from the life of Buddha. The themes which were later explored in Parsifal of self-renouncing, reincarnation, compassion, and even exclusive social groups (castes in Die Sieger, the Knights of the Grail in Parsifal) were first introduced in Die Sieger. ... on Good Friday I awoke to find the sun shining brightly for the first time in this house: the little garden was radiant with green, the birds sang, and at last I could sit on the roof and enjoy the long-yearned-for peace with its message of promise. Full of this sentiment, I suddenly remembered that the day was Good Friday, and I called to mind the significance this omen had already once assumed for me when I was reading Wolfram's Parzival. Since the sojourn in Marienbad [in the summer of 1845], where I had conceived Die Meistersinger and Lohengrin, I had never occupied myself again with that poem; now its noble possibilities struck me with overwhelming force, and out of my thoughts about Good Friday I rapidly conceived a whole drama, of which I made a rough sketch with a few dashes of the pen, dividing the whole into three acts. R[ichard] today recalled the impression which inspired his "Good Friday Music"; he laughs, saying he had thought to himself, "In fact it is all as far-fetched as my love affairs, for it was not a Good Friday at all – just a pleasant mood in Nature which made me think, 'This is how a Good Friday ought to be'". The work may indeed have been conceived at Wesendonck's cottage in the last week of April 1857, but Good Friday that year fell on 10 April, when the Wagners were still living at Zeltweg 13 in Zürich. If the prose sketch which Wagner mentions in Mein Leben was accurately dated (and most of Wagner's surviving papers are dated), it could settle the issue once and for all, but unfortunately it has not survived. Wagner did not resume work on Parsifal for eight years, during which time he completed Tristan und Isolde and began Die Meistersinger von Nürnberg. Then, between 27 and 30 August 1865, he took up Parsifal again and made a prose draft of the work; this contains a fairly brief outline of the plot and a considerable amount of detailed commentary on the characters and themes of the drama. But once again the work was dropped and set aside for another eleven and a half years. During this time most of Wagner's creative energy was devoted to the Ring cycle, which was finally completed in 1874 and given its first full performance at Bayreuth in August 1876. Only when this gargantuan task had been accomplished did Wagner find the time to concentrate on Parsifal. By 23 February 1877 he had completed a second and more extensive prose draft of the work, and by 19 April of the same year he had transformed this into a verse libretto (or "poem", as Wagner liked to call his libretti). In September 1877 he began the music by making two complete drafts of the score from beginning to end. The first of these (known in German as the Gesamtentwurf and in English as either the Preliminary Draft or the First Complete Draft) was made in pencil on three staves, one for the voices and two for the instruments. The second complete draft (Orchesterskizze, Orchestral Draft, Short Score or Particell) was made in ink and on at least three, but sometimes as many as five, staves. This draft was much more detailed than the first and contained a considerable degree of instrumental elaboration. The second draft was begun on 25 September 1877, just a few days after the first; at this point in his career Wagner liked to work on both drafts simultaneously, switching back and forth between the two so as not to allow too much time to elapse between his initial setting of the text and the final elaboration of the music. The Gesamtentwurf of act III was completed on 16 April 1879 and the Orchesterskizze on the 26th of the same month. The full score (Partiturerstschrift) was the final stage in the compositional process. It was made in ink and consisted of a fair copy of the entire opera, with all the voices and instruments properly notated according to standard practice. Wagner composed Parsifal one act at a time, completing the Gesamtentwurf and Orchesterskizze of each act before beginning the Gesamtentwurf of the next act; but because the Orchesterskizze already embodied all the compositional details of the full score, the actual drafting of the Partiturerstschrift was regarded by Wagner as little more than a routine task which could be done whenever he found the time. The prelude of act I was scored in August 1878. The rest of the opera was scored between August 1879 and 13 January 1882. On 12 November 1880, Wagner conducted a private performance of the prelude for his patron Ludwig II of Bavaria at the Court Theatre in Munich. The premiere of the entire work was given in the Festspielhaus at Bayreuth on 26 July 1882 under the baton of the Jewish-German conductor Hermann Levi. Stage designs were by Max Brückner and Paul von Joukowsky who took their lead from Wagner himself. The Grail hall was based on the interior of Siena Cathedral which Wagner had visited in 1880, while Klingsor's magic garden was modelled on those at the Palazzo Rufolo in Ravello. In July and August 1882 sixteen performances of the work were given in Bayreuth conducted by Levi and Franz Fischer. The production boasted an orchestra of 107, a chorus of 135 and 23 soloists (with the main parts being double cast). At the last of these performances, Wagner took the baton from Levi and conducted the final scene of act III from the orchestral interlude to the end. At the first performances of Parsifal problems with the moving scenery (the Wandeldekoration  · ). during the transition from scene 1 to scene 2 in act 1 meant that Wagner's existing orchestral interlude finished before Parsifal and Gurnemanz arrived at the Hall of the Grail. Engelbert Humperdinck, who was assisting the production, provided a few extra bars of music to cover this gap. In subsequent years this problem was solved and Humperdinck's additions were not used. For the first twenty years of its existence, the only staged performances of Parsifal took place in the Bayreuth Festspielhaus, the venue for which Wagner conceived the work (except eight private performances for Ludwig II at Munich in 1884 and 1885). Wagner had two reasons for wanting to keep Parsifal exclusively for the Bayreuth stage. Firstly, he wanted to prevent it from degenerating into 'mere amusement' for an opera-going public. Only at Bayreuth could his last work be presented in the way envisaged by him—a tradition maintained by his wife, Cosima, long after his death. Secondly, he thought that the opera would provide an income for his family after his death if Bayreuth had the monopoly on its performance. The Bayreuth authorities allowed unstaged performances to take place in various countries after Wagner's death (London in 1884, New York City in 1886, and Amsterdam in 1894) but they maintained an embargo on stage performances outside Bayreuth. On 24 December 1903, after receiving a court ruling that performances in the United States could not be prevented by Bayreuth, the New York Metropolitan Opera staged the complete opera, using many Bayreuth-trained singers. Cosima barred anyone involved in the New York production from working at Bayreuth in future performances. Unauthorized stage performances were also undertaken in Amsterdam in 1905, 1906 and 1908. There was a performance in Buenos Aires, in Teatro Coliseo, on June 20, 1913 under Gino Marinuzzi. Bayreuth lifted its monopoly on Parsifal on 1 January 1914 in the Teatro Comunale di Bologna in Bologna with Giuseppe Borgatti. Some opera houses began their performances at midnight between 31 December 1913 and 1 January. The first authorized performance was staged at the Gran Teatre del Liceu in Barcelona: it began at 10:30pm Barcelona time, which was an hour behind Bayreuth. Such was the demand for Parsifal that it was presented in more than 50 European opera houses between 1 January and 1 August 1914. At Bayreuth performances audiences do not applaud at the end of the first act. This tradition is the result of a misunderstanding arising from Wagner's desire at the premiere to maintain the serious mood of the opera. After much applause following the first and second acts, Wagner spoke to the audience and said that the cast would take no curtain calls until the end of the performance. This confused the audience, who remained silent at the end of the opera until Wagner addressed them again, saying that he did not mean that they could not applaud. After the performance Wagner complained, "Now I don't know. Did the audience like it or not?" At subsequent performances some believed that Wagner had wanted no applause until the very end, and there was silence after the first two acts. Eventually it became a Bayreuth tradition that no applause would be heard after the first act, but this was certainly not Wagner's idea. In fact, during the first Bayreuth performances, Wagner himself cried "Bravo!" as the Flowermaidens made their exit in the second act, only to be hissed by other members of the audience. At some theatres other than Bayreuth, applause and curtain calls are normal practice after every act. Program notes until 2013 at the Metropolitan Opera in New York asked the audience not to applaud after act I.
Parsifal is one of the Wagner operas regularly presented at the Bayreuth Festival to this day. Among the more significant post-war productions was that directed in 1951 by Wieland Wagner, the composer's grandson. At the first Bayreuth Festival after World War II he presented a radical move away from literal representation of the Hall of the Grail or the Flowermaiden's bower. Instead, lighting effects and the bare minimum of scenery were used to complement Wagner's music. This production was heavily influenced by the ideas of the Swiss stage designer Adolphe Appia. The reaction to this production was extreme: Ernest Newman, Richard Wagner's biographer described it as "not only the best Parsifal I have ever seen and heard, but one of the three or four most moving spiritual experiences of my life". Others were appalled that Wagner's stage directions were being flouted. The conductor of the 1951 production, Hans Knappertsbusch, on being asked how he could conduct such a disgraceful travesty, declared that right up until the dress rehearsal he imagined that the stage decorations were still to come. Knappertsbusch was particularly upset by the omission of the dove which appears over Parsifal's head at the end of the opera, which he claimed inspired him to give better performances. To placate his conductor Wieland arranged to reinstate the dove, which descended on a string. What Knappertsbusch did not realise was that Wieland had made the length of the string long enough for the conductor to see the dove, but not for the audience. Wieland continued to modify and refine his Bayreuth production of Parsifal until his death in 1966. Martha Mödl created a "complex, tortured Kundry in Wieland Wagner's revolutionary production of Parsifal during the festival's first postwar season", and would remain the company's exclusive Kundry for the remainder of the decade. In a forest near the home of the Grail and its Knights, Gurnemanz, eldest Knight of the Grail, wakes his young squires and leads them in prayer. He sees Amfortas, King of the Grail Knights, and his entourage approaching. Amfortas has been injured by his own Holy Spear, and the wound will not heal. Musical introduction to the work with a duration of c. 9–13 minutes. Gurnemanz asks the lead Knight for news of the King's health. The Knight says the King has suffered during the night and is going early to bathe in the holy lake. The squires ask Gurnemanz to explain how the King's injury can be healed, but he evades their question and a wild woman – Kundry – bursts in. She gives Gurnemanz a vial of balsam, brought from Arabia, to ease the King's pain and then collapses, exhausted. Amfortas arrives, borne on a stretcher by Knights of the Grail. He calls out for Gawain, whose attempt at relieving the King's pain had failed. He is told that Gawain has left again, seeking a better remedy. Raising himself somewhat, the King says going off without leave ("Ohn' Urlaub?") is the sort of impulsiveness which led himself into Klingsor's realm and to his downfall. He accepts the potion from Gurnemanz and tries to thank Kundry, but she answers abruptly that thanks will not help and urges him onward to his bath. The procession leaves. The squires eye Kundry with mistrust and question her. After a brief retort, she falls silent. Gurnemanz tells them Kundry has often helped the Grail Knights but that she comes and goes unpredictably. When he asks directly why she does not stay to help, she answers, "I never help! ("Ich helfe nie!"). The squires think she is a witch and sneer that if she does so much, why will she not find the Holy Spear for them? Gurnemanz reveals that this deed is destined for someone else. He says Amfortas was given guardianship of the Spear, but lost it as he was seduced by an irresistibly attractive woman in Klingsor's domain. Klingsor grabbed the Spear and stabbed Amfortas. The wound causes Amfortas both suffering and shame, and will never heal on its own. Squires returning from the King's bath tell Gurnemanz that the balsam has eased the King's suffering. Gurnemanz's own squires ask how it is that he knew Klingsor. He solemnly tells them how both the Holy Spear, which pierced the side of the Redeemer on the Cross, and the Holy Grail, which caught the flowing blood, had come to Monsalvat to be guarded by the Knights of the Grail under the rule of Titurel, father of Amfortas. Klingsor had yearned to join the Knights but, unable to keep impure thoughts from his mind, resorted to self-castration, causing him to be expelled from the Order. Klingsor then set himself up in opposition to the realm of the Grail, learning dark arts, claiming the valley domain below and filling it with beautiful Flowermaidens to seduce and enthrall wayward Grail Knights. It was here that Amfortas lost the Holy Spear, kept by Klingsor as he schemes to get hold of the Grail as well. Gurnemanz tells how Amfortas later had a holy vision which told him to wait for a "pure fool, enlightened by compassion" ("Durch Mitleid wissend, der reine Tor") who will finally heal the wound. At this moment, cries are heard from the Knights ("Weh! Weh! "): a flying swan has been shot, and a young man is brought forth, a bow in his hand and a quiver of matching arrows. Gurnemanz speaks sternly to the lad, saying this is a holy place. He asks him outright if he shot the swan, and the lad boasts that if it flies, he can hit it ("Im Fluge treff' ich was fliegt!") Gurnemanz tells him that the swan is a holy animal, and asks what harm the swan had done him, and shows the youth its lifeless body. Now remorseful, the young man breaks his bow and casts it aside. Gurnemanz asks him why he is here, who his father is, how he found this place and, lastly, his name. To each question the lad replies, "I don't know." The elder Knight sends his squires away to help the King and now asks the boy to tell what he does know. The young man says he has a mother, Herzeleide (Heart's Sorrow) and that he made the bow himself. Kundry has been listening and now tells them that this boy's father was Gamuret, a knight killed in battle, and also how the lad's mother had forbidden her son to use a sword, fearing that he would meet the same fate as his father. The youth now recalls that upon seeing knights pass through his forest, he had left his home and mother to follow them. Kundry laughs and tells the young man that, as she rode by, she saw Herzeleide die of grief. Hearing this, the lad first lunges at Kundry but then collapses in grief. Kundry herself is now weary for sleep, but cries out that she must not sleep and wishes that she might never again waken. She disappears into the undergrowth. Gurnemanz knows that the Grail draws only the pious to Monsalvat and invites the boy to observe the Grail rite. The youth does not know what the Grail is, but remarks that as they walk he seems to scarcely move, yet feels as if he is traveling far. Gurnemanz says that in this realm time becomes space ("Zum Raum wird hier die Zeit"). An orchestral interlude of about 4 minutes. They arrive at the Hall of the Grail, where the Knights are assembling to receive Holy Communion ("Zum letzten Liebesmahle"). The voice of Titurel is heard, telling his son, Amfortas, to uncover the Grail. Amfortas is wracked with shame and suffering ("Wehvolles Erbe, dem ich verfallen"). He is the guardian of these holy relics yet has succumbed to temptation and lost the Spear. He declares himself unworthy of his office. He cries out for forgiveness ("Erbarmen!") but hears only the promise that he will one day be redeemed by the pure fool. On hearing Amfortas' cry, the youth appears to suffer with him, clutching at his heart. The knights and Titurel urge Amfortas to reveal the Grail ("Enthüllet den Gral"), and he finally does. The dark hall is now bathed in the light of the Grail as the Knights eat. Gurnemanz motions to the youth to participate, but he seems entranced and does not. Amfortas does not share in taking communion and, as the ceremony ends, collapses in pain and is carried away. Slowly the hall empties leaving only the young man and Gurnemanz, who asks him if he has understood what he has seen. When the lad cannot answer, Gurnemanz dismisses him as just a fool and sends him out with a warning to hunt geese, if he must, but to leave the swans alone. A voice from high above repeats the promise: "The pure fool, enlightened by compassion". Musical introduction of c. 2–3 minutes. Klingsor's magic castle. Klingsor conjures up Kundry, waking her from her sleep. He calls her by many names: First Sorceress (Urteufelin), Hell's Rose (Höllenrose), Herodias, Gundryggia and, lastly, Kundry. She is now transformed into an incredibly alluring woman, as when she once seduced Amfortas. She mocks Klingsor's mutilated condition by sarcastically inquiring if he is chaste ("Ha ha! Bist du keusch? "), but she cannot resist his power. Klingsor observes that Parsifal is approaching and summons his enchanted knights to fight the boy. Klingsor watches as Parsifal overcomes his knights, and they flee. Klingsor wishes destruction on their whole race. Klingsor sees this young man stray into his Flowermaiden garden and calls to Kundry to seek the boy out and seduce him, but when he turns, he sees that Kundry has already left on her mission. The triumphant youth finds himself in a wondrous garden, surrounded by beautiful and seductive Flowermaidens. They call to him and entwine themselves about him while chiding him for wounding their lovers ("Komm, komm, holder Knabe!"). They soon fight and bicker among themselves to win his devotion, to the point that he is about to flee, but then a voice calls out, "Parsifal!" He now recalls this name is what his mother called him when she appeared in his dreams. The Flowermaidens back away from him and call him a fool as they leave him and Kundry alone. Parsifal wonders if the Garden is a dream and asks how it is that Kundry knows his name. Kundry tells him she learned it from his mother ("Ich sah das Kind an seiner Mutter Brust"), who had loved him and tried to shield him from his father's fate, the mother he had abandoned and who had finally died of grief. She reveals many parts of Parsifal's history to him and he is stricken with remorse, blaming himself for his mother's death. He thinks himself very stupid to have forgotten her. Kundry says this realization is a first sign of understanding and that, with a kiss, she can help him understand his mother's love. As they kiss Parsifal suddenly recoils in pain and cries out Amfortas' name: he feels the wounded king's pain burning in his own side and now understands Amfortas' passion during the Grail Ceremony ("Amfortas! Die Wunde! Die Wunde!"). Filled with this compassion, Parsifal rejects Kundry's advances. Furious that her ploy has failed, Kundry tells Parsifal that if he can feel compassion for Amfortas, then he should be able to feel it for her as well. She has been cursed for centuries, unable to rest, because she saw Christ on the cross and laughed at His pains. Now she can never weep, only jeer, and she is enslaved to Klingsor as well. 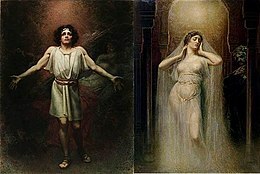 Parsifal rejects her again but then asks her to lead him to Amfortas. She begs him to stay with her for just one hour, and then she will take him to Amfortas. When he still refuses, she curses him to wander without ever finding the Kingdom of the Grail, and finally calls on her master Klingsor to help her. Klingsor appears and throws the Spear at Parsifal, but it stops in midair, above his head. Parsifal takes it and makes the sign of the Cross with it. The castle crumbles and the enchanted garden withers. As Parsifal leaves, he tells Kundry that she knows where she can find him. Musical introduction of c. 4–6 minutes. The scene is the same as that of the opening of the opera, in the domain of the Grail, but many years later. Gurnemanz is now aged and bent. It is Good Friday. He hears moaning near his hermit's hut and discovers Kundry unconscious in the brush, as he had many years before ("Sie! Wieder da!"). He revives her using water from the Holy Spring, but she will only speak the word "serve" ("Dienen"). Gurnemanz wonders if there is any significance to her reappearance on this special day. Looking into the forest, he sees a figure approaching, armed and in full armour. The stranger wears a helmet and the hermit cannot see who it is. Gurnemanz queries him and chides him for being armed on sanctified ground and on a holy day, but gets no response. Finally, the apparition removes the helmet and Gurnemanz recognizes the lad who shot the swan, and joyfully sees that he bears the Holy Spear. Parsifal tells of his desire to return to Amfortas ("Zu ihm, des tiefe Klagen"). He relates his long journey, how he wandered for years, unable to find a path back to the Grail. He had often been forced to fight, but never wielded the Spear in battle. Gurnemanz tells him that the curse preventing Parsifal from finding his right path has now been lifted, but that in his absence Amfortas has never unveiled the Grail, and lack of its sustaining properties has caused the death of Titurel. Parsifal is overcome with remorse, blaming himself for this state of affairs. Gurnemanz tells him that today is the day of Titurel's funeral, and that Parsifal has a great duty to perform. Kundry washes Parsifal's feet and Gurnemanz anoints him with water from the Holy Spring, recognizing him as the pure fool, now enlightened by compassion, and as the new King of the Knights of the Grail. Parsifal looks about and comments on the beauty of the meadow. Gurnemanz explains that today is Good Friday, when all the world is renewed. Parsifal baptizes the weeping Kundry. Tolling bells are heard in the distance. Gurnemanz says "Midday: the hour has come. My lord, permit your servant to guide you!" ("Mittag: – Die Stund ist da: gestatte Herr, dass dich dein Knecht geleite") – and all three set off for the castle of the Grail. A dark orchestral interlude ("Mittag") leads into the solemn gathering of the knights. Within the castle of the Grail, Amfortas is brought before the Grail shrine and Titurel's coffin. He cries out, asking his dead father to grant him rest from his sufferings and expresses the desire to join him in death ("Mein Vater! Hochgesegneter der Helden!"). The Knights of the Grail passionately urge Amfortas to uncover the Grail again but Amfortas, in a frenzy, says he will never again show the Grail. He commands the Knights, instead, to kill him and end his suffering and the shame he has brought on the Knighthood. At this moment, Parsifal steps forth and says that only one weapon can heal the wound ("Nur eine Waffe taugt"). He touches Amfortas' side with the Spear and both heals and absolves him. Parsifal commands the unveiling of the Grail. As all present kneel, Kundry, released from her curse, sinks lifeless to the ground as a white dove descends and hovers above Parsifal. Since Parsifal could initially only be seen at the Bayreuth Festival, the first presentation in 1882 was attended by many notable figures. Reaction was varied. Some thought that Parsifal marked a weakening of Wagner's abilities. The critic Eduard Hanslick gave his opinion that "The Third act may be counted the most unified and the most atmospheric. It is not the richest musically," going on to note "And Wagner's creative powers? For a man of his age and his method they are astounding ... [but] It would be foolishness to declare that Wagner's fantasy, and specifically his musical invention, has retained the freshness and facility of yore. One cannot help but discern sterility and prosaicism, together with increasing longwindedness." The conductor Felix Weingartner found that: "The Flowermaidens' costumes showed extraordinary lack of taste, but the singing was incomparable... When the curtain had been rung down on the final scene and we were walking down the hill, I seemed to hear the words of Goethe 'and you can say you were present.' The Parsifal performances of 1882 were artistic events of supreme interest and it is my pride and joy that I participated in them." Hugo Wolf was a student at the time of the 1882 Festival, yet still managed to find money for tickets to see Parsifal twice. He emerged overwhelmed: "Colossal – Wagner's most inspired, sublimest creation." He reiterated this view in a postcard from Bayreuth in 1883: "Parsifal is without doubt by far the most beautiful and sublime work in the whole field of Art." Gustav Mahler was also present in 1883 and he wrote to a friend; "I can hardly describe my present state to you. When I came out of the Festspielhaus, completely spellbound, I understood that the greatest and most painful revelation had just been made to me, and that I would carry it unspoiled for the rest of my life." Max Reger simply noted that "When I first heard Parsifal at Bayreuth I was fifteen. I cried for two weeks and then became a musician." Alban Berg described Parsifal in 1909 as "magnificent, overwhelming," and Jean Sibelius, visiting the Festival in 1894 said: "Nothing in the world has made so overwhelming an impression on me. All my innermost heart-strings throbbed... I cannot begin to tell you how Parsifal has transported me. Everything I do seems so cold and feeble by its side. That is really something." Claude Debussy thought the characters and plot ludicrous, but nevertheless in 1903 wrote that musically it was: "Incomparable and bewildering, splendid and strong. Parsifal is one of the loveliest monuments of sound ever raised to the serene glory of music." He was later to write to Ernest Chausson that he had deleted a scene he had just written for his own opera Pelléas et Melisande because he had discovered in the music for it "the ghost of old Klingsor, alias R. Wagner". Some took a more acerbic view of the experience. Mark Twain visited the Festival in 1891: "I was not able to detect in the vocal parts of Parsifal anything that might with confidence be called rhythm or tune or melody... Singing! It does seem the wrong name to apply to it... In Parsifal there is a hermit named Gurnemanz who stands on the stage in one spot and practices by the hour, while first one and then another of the cast endures what he can of it and then retires to die." Performance standards may have contributed to such reactions; George Bernard Shaw commented in 1894 that: "The opening performance of Parsifal this season was, from the purely musical point of view, as far as the principal singers were concerned, simply an abomination. The bass howled, the tenor bawled, the baritone sang flat and the soprano, when she condescended to sing at all and did not merely shout her words, screamed..."
During a break from composing The Rite of Spring, Igor Stravinsky traveled to the Bayreuth Festival (at the invitation of Sergei Diaghilev) to see the work. Stravinsky was repulsed by the "quasi-religious atmosphere" of the festival. Stravinsky's repulsion is speculated to be due to his agnosticism. When religion becomes artificial, art has a duty to rescue it. Art can show that the symbols which religions would have us believe literally true are actually figurative. Art can idealize those symbols, and so reveal the profound truths they contain. The critic Eduard Hanslick objected to the religious air surrounding Parsifal even at the premiere: "The question of whether Parsifal should really be withheld from all theatres and limited to... Bayreuth was naturally on all tongues... I must state here that the church scenes in Parsifal did not make the offensive impression on me that others and I had been led to expect from reading the libretto. They are religious situations – but for all their earnest dignity they are not in the style of the church, but completely in the style of the opera. Parsifal is an opera, call it a 'stage festival' or 'consecrational stage festival' if you will." Wagner had been greatly impressed with his reading of Arthur Schopenhauer in 1854, and this deeply affected his thoughts and practice on music and art. Some writers (e.g. Bryan Magee) see Parsifal as Wagner's last great espousal of Schopenhauerian philosophy. Parsifal can heal Amfortas and redeem Kundry because he shows compassion, which Schopenhauer saw as the highest form of human morality. Moreover, he displays compassion in the face of sexual temptation (act II, scene 3). Schopenhaurian philosophy also suggests that the only escape from the ever-present temptations of human life is through negation of the Will, and overcoming sexual temptation is in particular a strong form of negation of the Will. When viewed in this light, Parsifal, with its emphasis on Mitleid ("compassion") is a natural follow-on to Tristan und Isolde, where Schopenhauer's influence is perhaps more obvious, with its focus on Sehnen ("yearning"). Indeed, Wagner originally considered including Parsifal as a character in act III of Tristan, but later rejected the idea. Parsifal is a work of perfidy, of vindictiveness, of a secret attempt to poison the presuppositions of life – a bad work. The preaching of chastity remains an incitement to anti-nature: I despise everyone who does not experience Parsifal as an attempted assassination of basic ethics. Despite this attack on the subject matter, he also admitted that the music was sublime: "Moreover, apart from all irrelevant questions (as to what the use of this music can or ought to be) and on purely aesthetic grounds; has Wagner ever done anything better?" (Letter to Peter Gast, 1887). Some writers see in the opera the promotion of racism or anti-semitism. One line of argument suggests that Parsifal was written in support of the ideas of Arthur de Gobineau who advocated Aryanism. Parsifal is proposed as the "pure-blooded" (i.e. Aryan) hero who overcomes Klingsor, who is perceived as a Jewish stereotype, particularly since he opposes the quasi-Christian Knights of the Grail. Such claims remain heavily debated, since there is nothing explicit in the libretto to support them. Wagner never mentions such ideas in his many writings, and Cosima Wagner's diaries, which relate in great detail Wagner's thoughts over the last 14 years of his life (including the period covering the composition and first performance of Parsifal) never mention any such intention. Wagner first met Gobineau very briefly in 1876, but it was only in 1880 that he read Gobineau's An Essay on the Inequality of the Human Races. However, Wagner had completed the libretto for Parsifal by 1877, and the original drafts of the story date back to 1857. Despite this chronological evidence, Gobineau is frequently cited as a major inspiration for Parsifal. The related question of whether the opera contains a specifically anti-Semitic message is also debated. Some of Wagner's contemporaries and commentators (e.g. Hans von Wolzogen and Ernest Newman) who analysed Parsifal at length, make no mention of any anti-Semitic interpretations. However the critics Paul Lindau and Max Nordbeck, present at the world premiere, noted in their reviews how the work accorded with Wagner's anti-Jewish sentiments. More recent commentators continue to highlight the perceived anti-Semitic nature of the opera, and find correspondences with anti-Semitic passages found in Wagner's writings and articles of the period. The conductor of the premiere was Hermann Levi, the court conductor at the Munich Opera. Since King Ludwig was sponsoring the production, much of the orchestra was drawn from the ranks of the Munich Opera, including the conductor. Wagner objected to Parsifal being conducted by a Jew (Levi's father was in fact a rabbi). Wagner first suggested that Levi should convert to Christianity, which Levi declined to do. Wagner then wrote to King Ludwig that he had decided to accept Levi despite the fact that (he alleged) he had received complaints that "of all pieces, this most Christian of works" should be conducted by a Jew. When the King expressed his satisfaction at this, replying that "human beings are basically all brothers", Wagner wrote to the King that he "regard[ed] the Jewish race as the born enemy of pure humanity and everything noble about it". 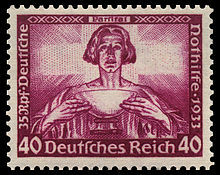 It has been claimed that Parsifal was denounced as being "ideologically unacceptable" in the Third Reich, and that the Nazis placed a de facto ban on Parsifal. In fact there were 26 performances at the Bayreuth Festival between 1934 and 1939 as well as 23 performances at the Deutsche Oper in Berlin between 1939 and 1942. However Parsifal was not performed at the Bayreuth Festival during World War II. Margaret Matzenauer as Kundry. 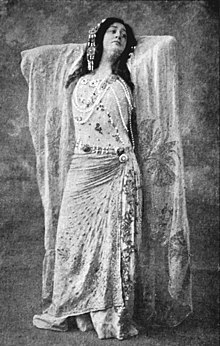 She made her unexpected debut in the role in 1912 at the New York Met. A leitmotif is a recurring musical theme within a particular piece of music, associated with a particular person, place or idea. Wagner is the composer most often associated with leitmotifs, and Parsifal makes liberal use of them. Wagner did not specifically identify or name leitmotifs in the score of Parsifal (any more than he did in any other of his scores), although his wife Cosima mentions statements he made about some of them in her diary. However, Wagner's followers (notably Hans von Wolzogen whose guide to Parsifal was published in 1882) named, wrote about and made references to these motifs, and they were highlighted in piano arrangements of the score. Wagner's own reaction to such naming of motifs in the score was one of disgust: "In the end people believe that such nonsense happens by my suggestion." The opening prelude introduces two important leitmotifs, generally referred to as the Communion theme and the theme of the Grail. These two, and Parsifal's own motif, are repeated during the course of the opera. Other characters, especially Klingsor, Amfortas, and "The Voice", which sings the so-called Tormotif ("Fool's motive"), have their own particular leitmotifs. Wagner uses the Dresden amen to represent the Grail, this motif being a sequence of notes he would have known since his childhood in Dresden. Many music theorists have used Parsifal to explore difficulties in analyzing the chromaticism of late 19th century music. Theorists such as David Lewin and Richard Cohn have explored the importance of certain pitches and harmonic progressions both in structuring and symbolizing the work. The unusual harmonic progressions in the leitmotifs which structure the piece, as well as the heavy chromaticism of act II, make it a difficult work to parse musically. As is common in mature Wagner operas, Parsifal was composed such that each act was a continuous flow of music; hence there are no free-standing arias in the work. However a number of orchestral excerpts from the opera were arranged by Wagner himself and remain in the concert repertory. The prelude to act I is frequently performed either alone or in conjunction with an arrangement of the "Good Friday" music which accompanies the second half of act III scene 1. Kundry's long solo in act II ("Ich sah das Kind") is occasionally performed in concert, as is Amfortas' lament from act I ("Wehvolles Erbe"). The bells that draw the knights to the Grail ceremony at Monsalvat in acts 1 and 3 have often proved problematic to stage. For the earlier performances of Parsifal in Bayreuth, Wagner had the Parsifal bell, a piano frame with four strings, constructed as a substitute for church bells. For the first performances, the bells were combined with tam-tam and gongs. However, the bell was used with the tuba, four tam-tams tuned to the pitch of the four chime notes and another tam-tam on which a roll is executed by using a drumstick. In modern-day performances, the Parsifal bell has been replaced with tubular bells or synthesizers to produce the desired notes. The thunder machine is used in the moment of the destruction of Klingsor's castle. Parsifal was expressly composed for the stage at Bayreuth and many of the most famous recordings of the opera come from live performances on that stage. In the pre-LP era, Karl Muck conducted excerpts from the opera at Bayreuth. These are still considered some of the best performances of the opera on disc. They also contain the only sound evidence of the bells constructed for the work's premiere, which were melted down for scrap during World War II. Hans Knappertsbusch was the conductor most closely associated with Parsifal at Bayreuth in the post-war years, and the performances under his baton in 1951 marked the re-opening of the Bayreuth Festival after World War II. These historic performances were recorded and are available on the Teldec label in mono sound. Knappertsbusch recorded the opera again for Philips in 1962 in stereo, and this release is often considered to be the classic Parsifal recording. There are also many "unofficial" live recordings from Bayreuth, capturing virtually every Parsifal cast ever conducted by Knappertsbusch. Pierre Boulez (1971) and James Levine (1985) have also made recordings of the opera at Bayreuth that were released on Deutsche Grammophon and Philips. The Boulez recording is one of the fastest on record, and the Levine one of the slowest. Amongst other recordings, those conducted by Georg Solti, James Levine (with the Metropolitan Opera Orchestra), Herbert von Karajan, and Daniel Barenboim (the latter two both conducting the Berlin Philharmonic) have been widely praised. The Karajan recording was voted "Record of the Year" in the 1981 Gramophone Awards. Also highly regarded is a recording of Parsifal under the baton of Rafael Kubelík originally made for Deutsche Grammophon, now reissued on Arts & Archives. On the 14 December 2013 broadcast of BBC Radio 3's CD Review – Building a Library, music critic David Nice surveyed recordings of Parsifal and recommended the recording by the Symphonieorchester des Bayerischen Rundfunks, Rafael Kubelik (conductor), as the best available choice. In addition to a number of staged performances available on DVD, Parsifal was adapted for the screen by film director Hans-Jürgen Syberberg. There is also a 1998 documentary directed by Tony Palmer titled: Parsifal – The Search for the Grail. It was recorded in various European theaters, including the Mariinsky Theatre, the Ravello Festival in Siena, and the Bayreuth Festival. It contains extracts from Palmer's stage production of Parsifal starring Plácido Domingo, Violeta Urmana, Matti Salminen, Nikolai Putilin, and Anna Netrebko. In also includes interviews with Domingo, Wolfgang Wagner, Robert Gutman, and Karen Armstrong. The film exists in two versions: (1) a complete version running 116 minutes and officially approved by Domingo, and (2) an 88-minute version, with cuts of passages regarded by the German distributor as being too "political", "uncomfortable", and "irrelevant". Burbidge, Peter; Sutton, Richard, eds. (1979). The Wagner Companion. Faber and Faber Ltd., London. ISBN 0-571-11450-4. Magee, Bryan (1997). The Philosophy of Schopenhauer. Oxford: Clarendon Press. ISBN 0-19-823722-7. Melitz, Leo (2001). The Opera Goer's Complete Guide. London: Best Books. ISBN 0-7222-6262-0. Nietzsche, Friedrich (1989). On the Genealogy of Morals. Vintage Books. ISBN 0-679-72462-1. Schopenhauer, Arthur (1966). The World as Will and Representation. New York: Dover. ISBN 0-486-21762-0. ^ Joseph Görres, Einleitung, p. vi, in: id. (ed. ), Lohengrin, ein altteutsches Gedicht, nach der Abschrift des Vaticanischen Manuscriptes von Ferdinand Gloekle. Mohr und Zimmer, Heidelberg 1813. See also Richard Wagner, Das braune Buch. Tagebuchaufzeichnungen 1865 bis 1882, ed. Joachim Bergfeld, Atlantis Verlag, Zürich and Freiburg im Breisgau 1975, p. 52; Danielle Buschinger, Renate Ullrich, Das Mittelalter Richard Wagners, Königshausen & Neumann, Würzburg 2007, ISBN 978-3-8260-3078-9, p. 140. ^ Everett, Derrick. "Prose Sketch for Die Sieger". Retrieved February 18, 2010. ^ Wagner, Richard. "Mein Leben vol II". Project Gutenberg. Retrieved February 18, 2010. ^ Millington (1992), pp. 147 f.
^ a b Gregor-Dellin (1983), pp. 477 ff. ^ Beckett (1981), pp. 90 f.
^ Heinz-Hermann Meyer, Kiel, Germany, 2012 « Wandeldekoration », about the dissertation by Pascal Lecocq Lexikon der Filmbegriffe, ISSN 1610-420X. ^ “La Wandeldekoration”, Revue d’Histoire du Théâtre, n°156, p359-383, 1987, ISSN 0035-2373 by Pascal Lecocq. ^ Spencer (2000), pp. 268 ff. ^ "Pondering the Mysteries of Parsifal" by Fred Plotkin, WQXR, 2 March 2013. ^ Kluge, Andreas (1992). "Parsifal 1951". Wagner: Parsifal (Media notes). Teldec. 9031-76047-2. ^ Erik Eriksson. "Martha Mödl". AllMusic. Retrieved 24 February 2016. ^ Hartford (1980), pp. 126 f.
^ Hartford (1980), pp. 176 f.
^ Wagner, Richard. "Religion and Art". The Wagner Library. Retrieved October 8, 2007. ^ Hartford (1980), pp. 127 f.
^ Dokumente zur Entstehung und ersten Aufführung des Bühnenweihfestspiels Parsifal by Richard Wagner, Martin Geck, Egon Voss. Reviewed by Richard Evidon in Notes, 2nd Ser., Vol. 28, No. 4 (Jun., 1972), p. 685 ff. ^ Nietzsche, Friedrich. "Nietzsche contra Wagner". Project Gutenberg. Retrieved 18 February 2010. ^ Everett, Derrick. "Parsifal and race". Retrieved February 18, 2010. ^ Adorno, Theodor (1952). In Search of Wagner. Verso, ISBN 1-84467-500-9, pbk. ^ John Deathridge, 'Strange love' in Western music and race. Cambridge UP, 2007 0-521-83887-0. ^ Hans von Wolzogen, Thematic guide through the music of Parsifal: with a preface upon the legendary material of the Wagnerian drama, Schirmer, 1904. ^ Ernest Newman, A study of Wagner, Dobell, 1899. pp. 352–365. ^ E.g. Zelinsky (1982), passim, Rose (1992), pp. 135, 158–169 and Weiner (1997), passim. ^ Everett, Derrick. 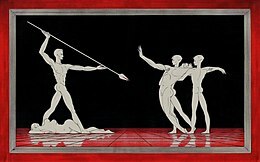 "The 1939 Ban on Parsifal". Retrieved February 18, 2010. ^ Everett, Derrick. "Introduction to the Music of Parsifal". Retrieved February 18, 2010. ^ Wagner, Richard. "Parsifal". Schirmer Inc, New York. Retrieved February 18, 2010. ^ Cosima Wagner's diary, 1 August 1881. ^ David Lewin, "Amfortas' Prayer to Titurel and the Role of D in Parsifal: The Tonal Spaces of the Drama and the Enharmonic Cb/B," in Studies in Music with Text (New York: Oxford University Press, 2006), 183-200. ^ Nice, David. "Wagner 200 Building a Library: Parsifal". CD Review. BBC Radio 3. Retrieved 26 December 2013. ^ "Parsifal – The Search for the Grail". Presto Classical Limited. Retrieved 13 July 2012. Beckett, Lucy (1981). Richard Wagner: Parsifal. Cambridge, UK: Cambridge University Press. ISBN 0-521-29662-5. Carnegy, Patrick (2006). Wagner and the Art of the Theatre. New Haven, CT: Yale University Press. ISBN 0-300-10695-5. Cohn, Richard (1996). "Maximally smooth cycles, hexatonic systems, and the analysis of Late-Romantic triadic progressions". Music Analysis. 15 (1): 9–40. JSTOR 854168. Deathridge, John (2008). Wagner: Beyond Good and Evil. Berkeley, CA: University of California Press. ISBN 978-0-520-25453-4. Fauser, Annegret (2008). "Wagnerism". In Thomas S. Grey (ed.). The Cambridge Companion to Wagner. Cambridge Companions to Music. Cambridge: Cambridge University Press. pp. 221–234. ISBN 978-0-521-64439-6. Gregor-Dellin, Martin (1983). Richard Wagner: his life, his work, his Century. William Collins. ISBN 0-00-216669-0. Gutman, Robert (1990) . Richard Wagner: The Man, His Mind and His Music. Harcourt Brace Jovanovich. ISBN 0-15-677615-4. Hartford, Robert (1980). Bayreuth: The Early Years. Victor Gollancz. ISBN 0-575-02865-3. Millington, Barry, ed. (1992). The Wagner Compendium: a Guide to Wagner's Life and Music. London: Thames and Hudson. ISBN 0-02-871359-1. Newman, Ernest (1976). The Life of Richard Wagner. Cambridge, UK: Cambridge University Press. ISBN 0-521-29149-6. Rose, Paul Lawrence (1992). Wagner: Race and Revolution. New Haven, CT: Yale University Press. ISBN 978-0-300-06745-3. Shengold, David (2012). "Martha Mödl: 'Portrait of a Legend'". Opera News. 77 (5). Spencer, Stewart (2000). Wagner Remembered. London: Faber and Faber. ISBN 0-571-19653-5. Spotts, Frederic (1994). Bayreuth: a History of the Wagner Festival. New Haven, CT: Yale University Press. ISBN 0-300-05777-6. Thorau, Christian (2009). "Guides for Wagnerites: leitmotifs and Wagnerian listening". In Thomas S. Grey (ed.). Wagner and His World. Princeton, NJ: Princeton University Press. pp. 133–150. ISBN 978-0-691-14366-8. Weiner, Marc A. (1997). Richard Wagner and the Anti-Semitic Imagination. Lincoln, NE: University of Nebraska Press. ISBN 0-8032-9792-0. Zelinsky, Hartmut (1982). "Rettung ins Ungenaue: zu M. Gregor-Dellins Wagner-Biographie". In Heinz-Klaus Metzger; Rainer Riehn (eds.). Richard Wagner: Parsifal. Musik-Konzepte. 25. Munich: Text & Kritik. pp. 74–115. 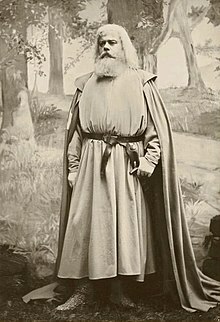 Wikimedia Commons has media related to Parsifal (opera).